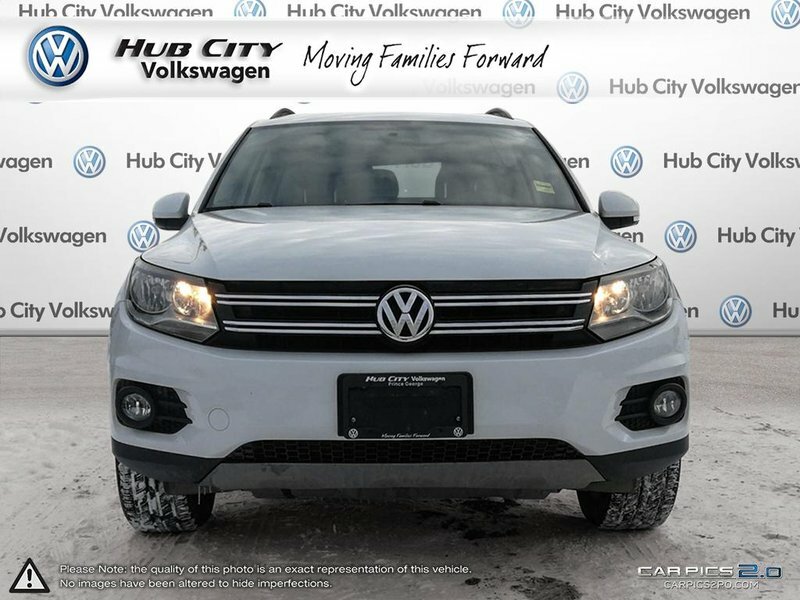 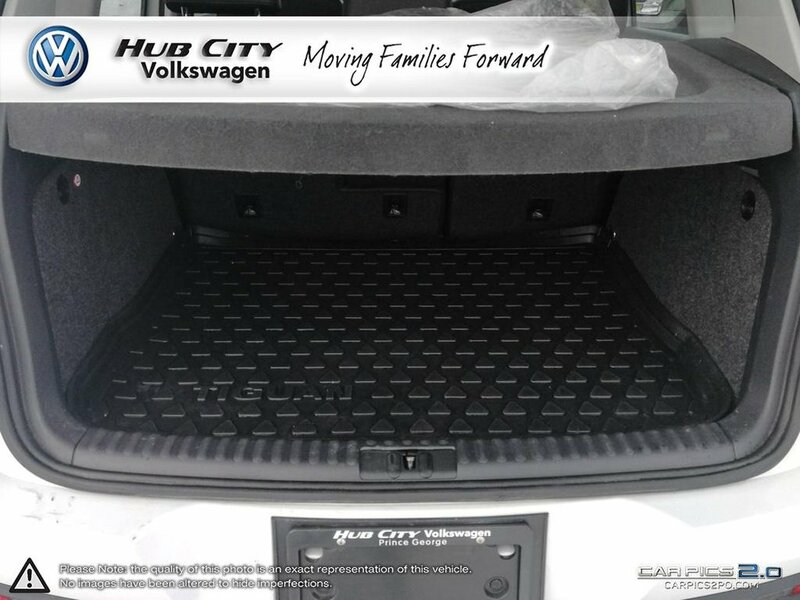 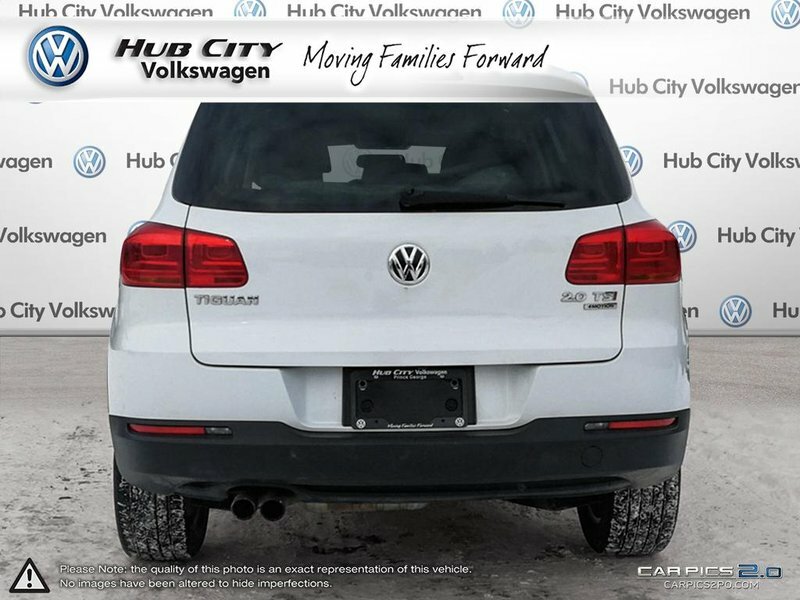 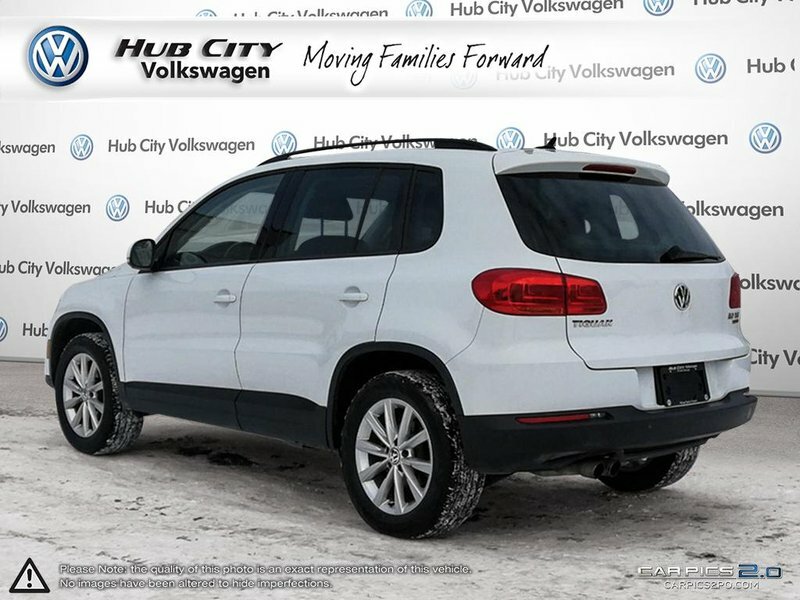 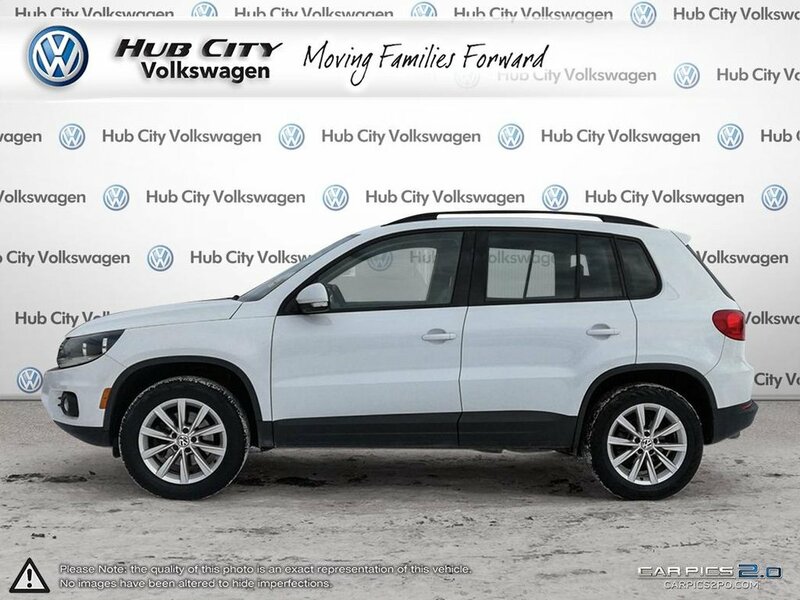 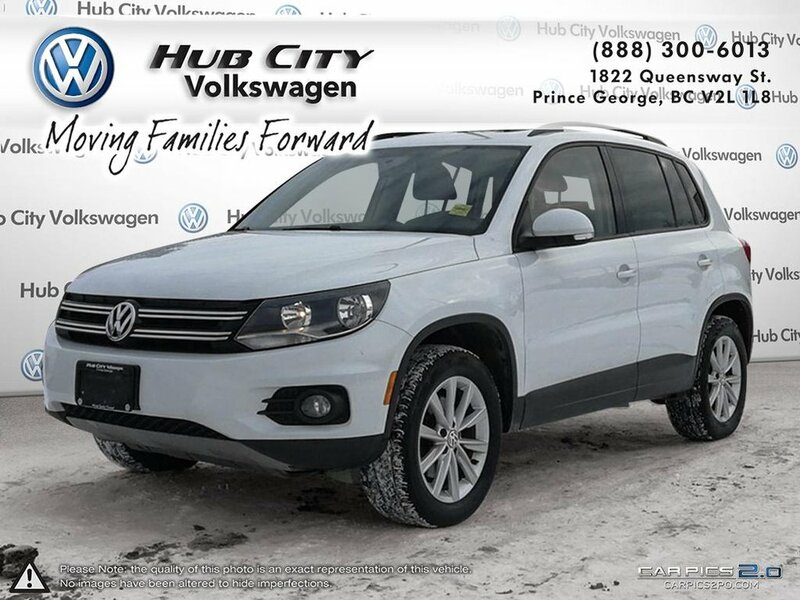 Our Accident-Free 2015 Volkswagen Tiguan Comfortline with 4MOTION SUV is German engineering is at its best, presented in stunning Pure White. 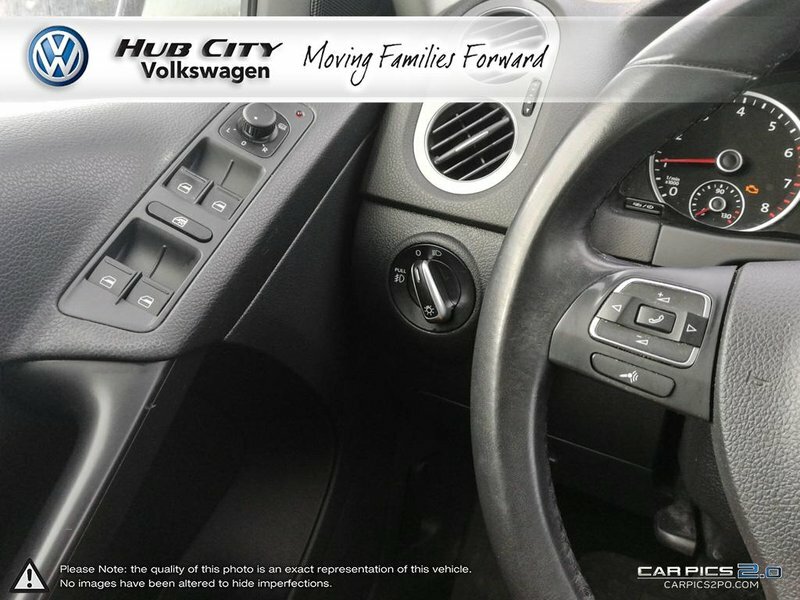 Powered by a 2.0 Litre 4 Cylinder that generates 200hp while tied to a responsive 6 Speed Automatic transmission with Tiptronic and Sport Mode for commanding the road. 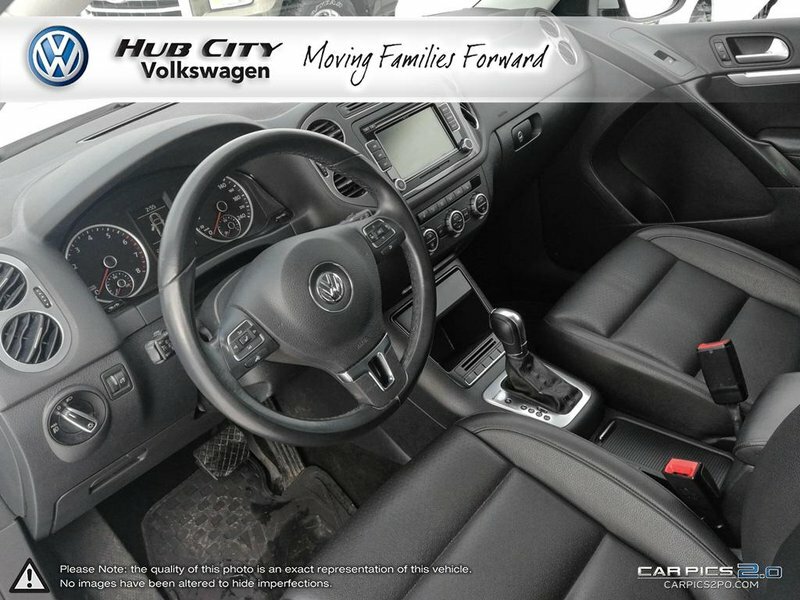 Behind the wheel of this All Wheel Drive SUV, you will delight in impressive acceleration, confidence when road conditions are less than ideal and an exceptionally hushed ride while securing near 9.0L/100km on the highway. 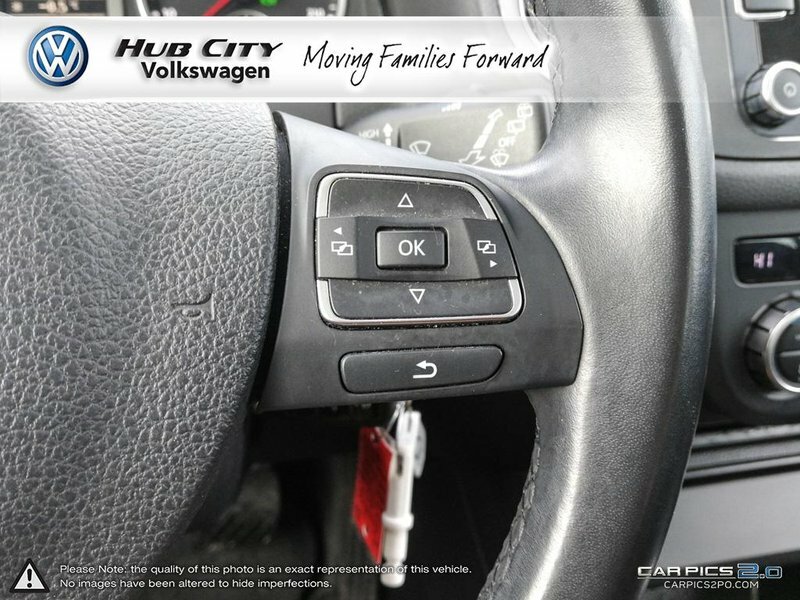 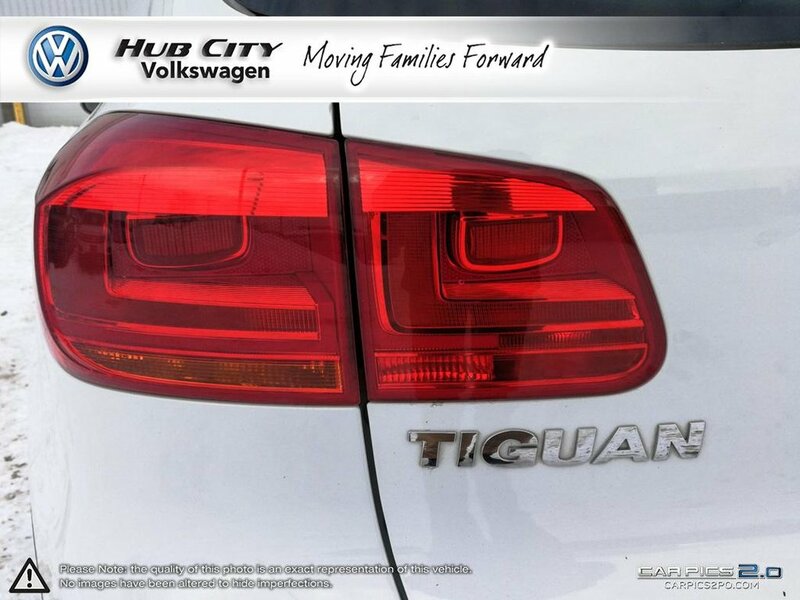 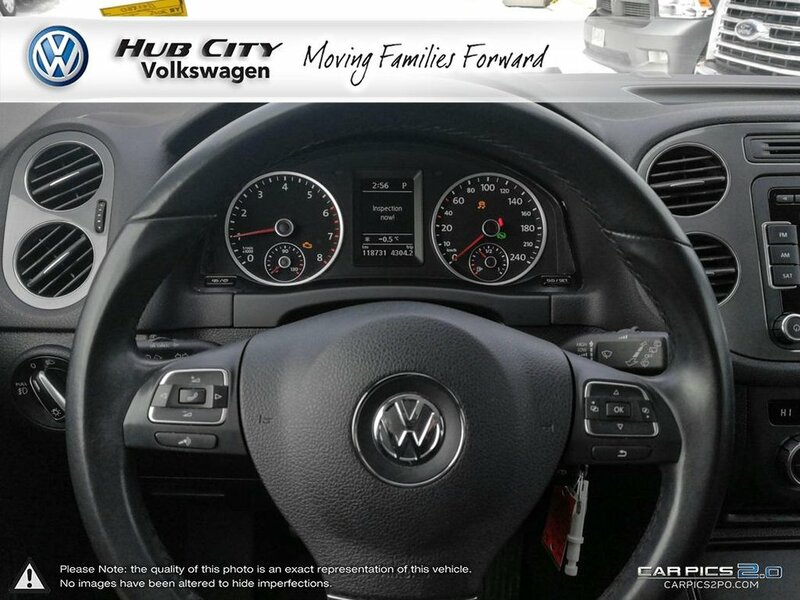 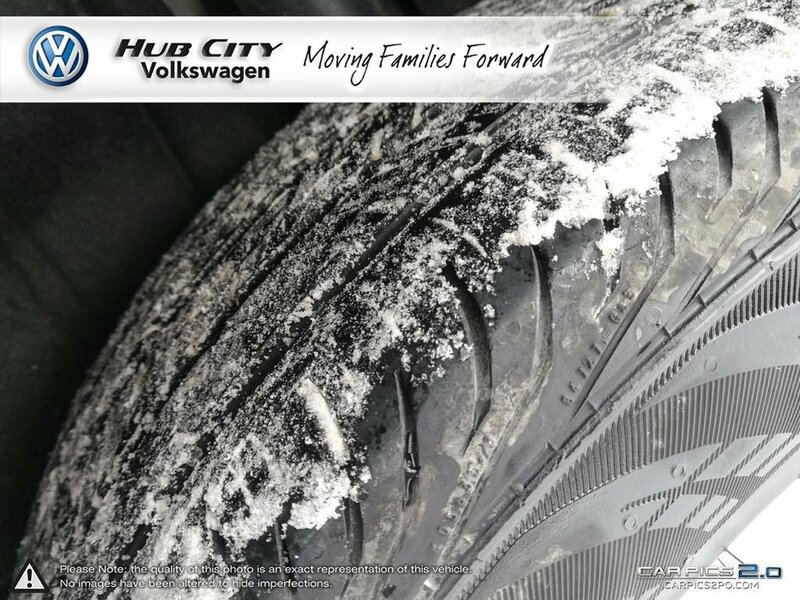 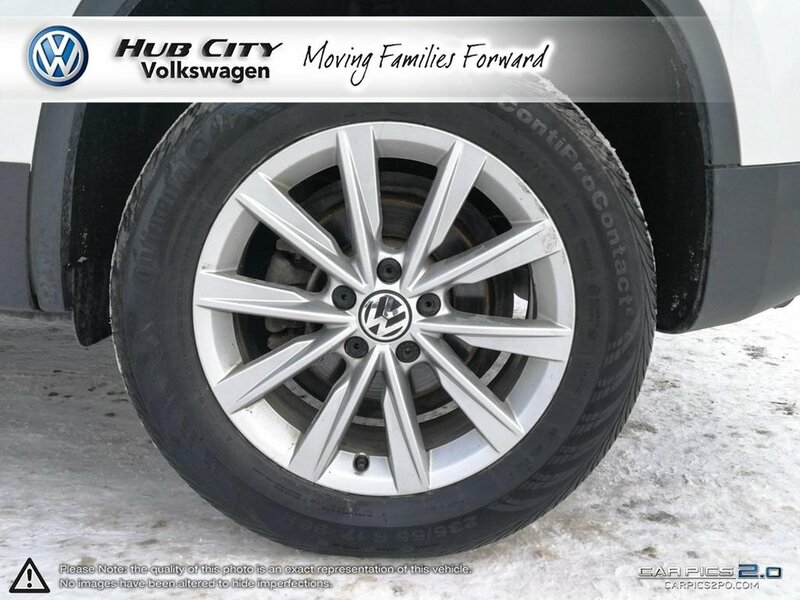 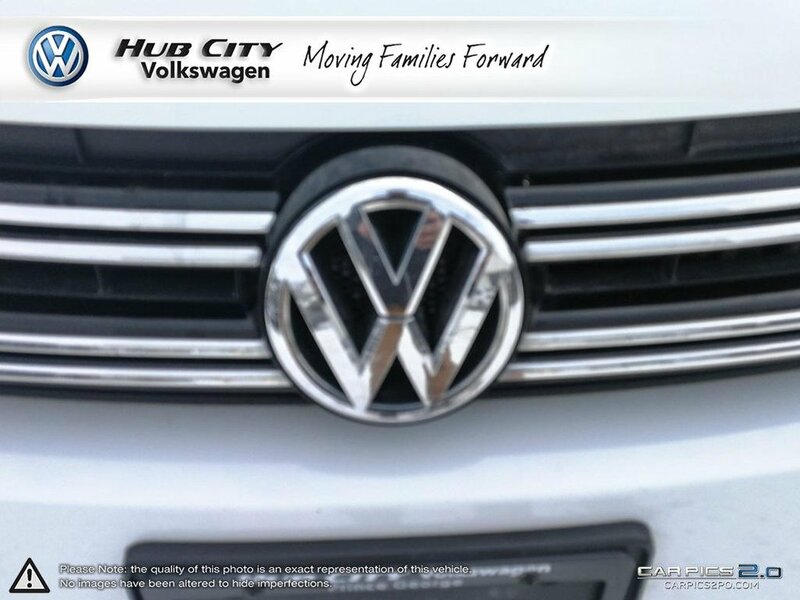 The graceful lines of our Tiguan are accented by 17-inch wheels, heated washer nozzles, and heated mirrors. 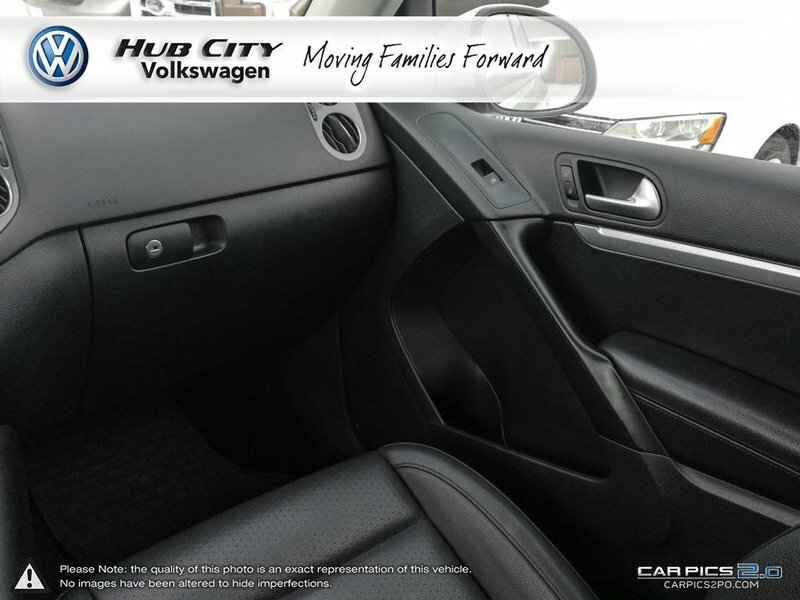 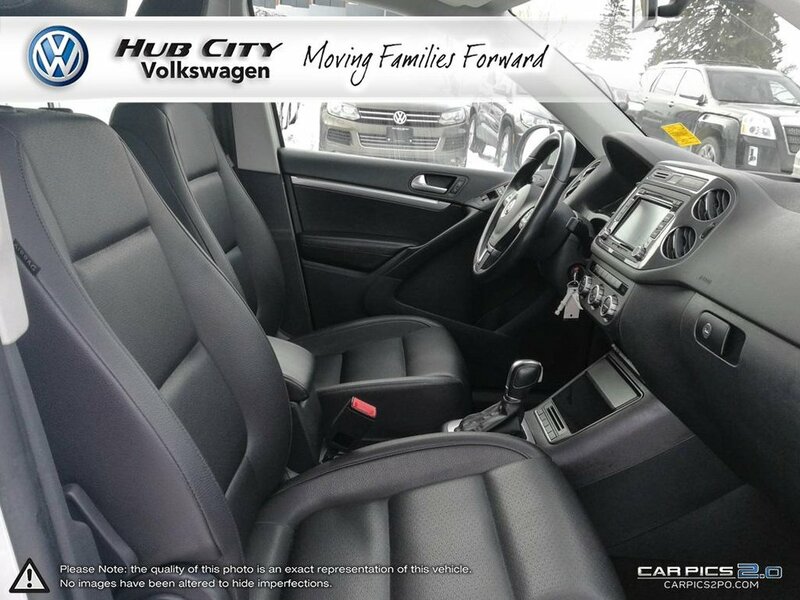 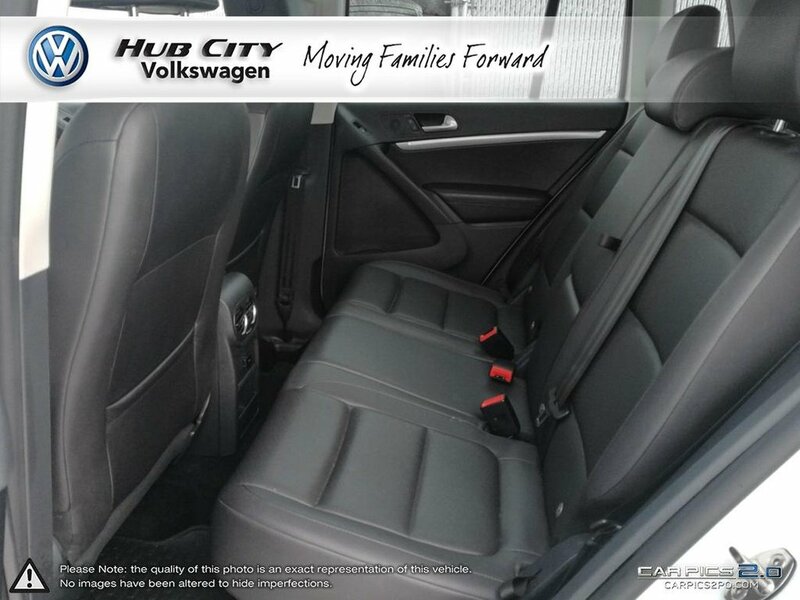 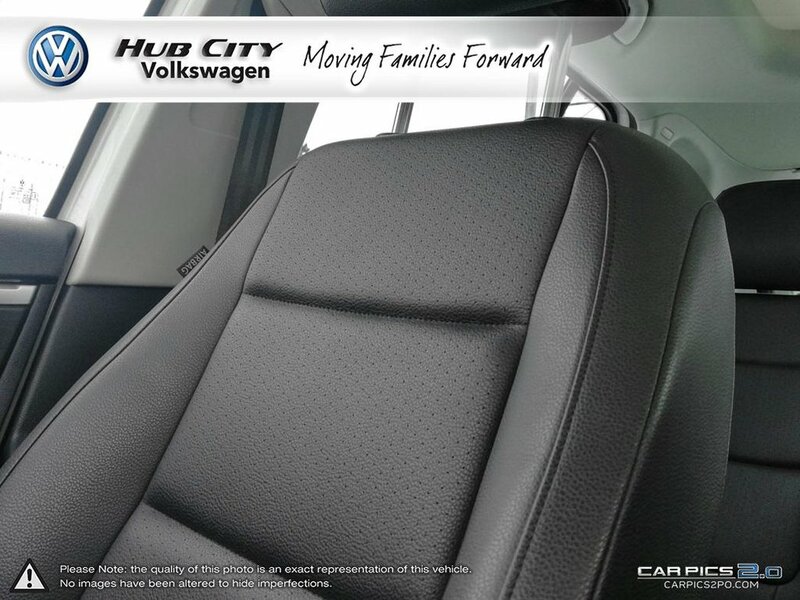 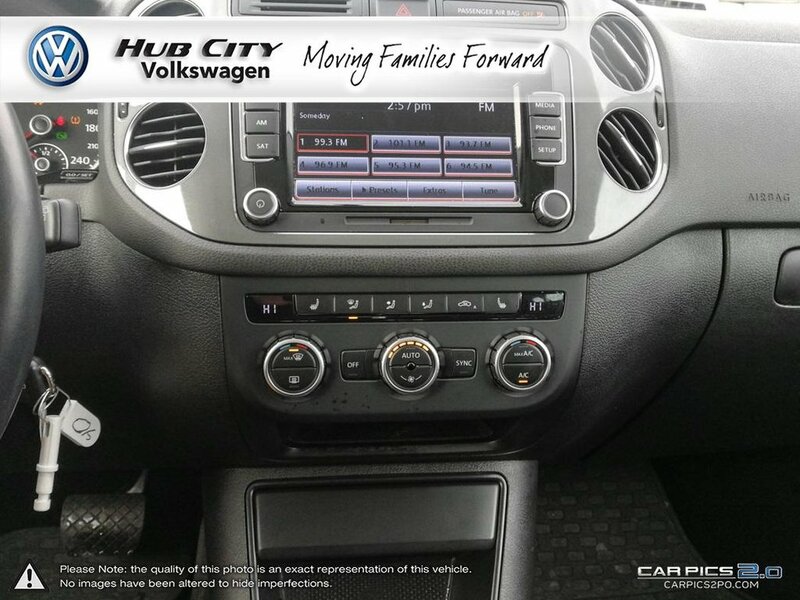 The style continues inside of the Tiguan, with comfortable heated seats in premium materials. Enjoy a leather-wrapped steering wheel with audio controls, cruise control, split-folding rear seat and more. 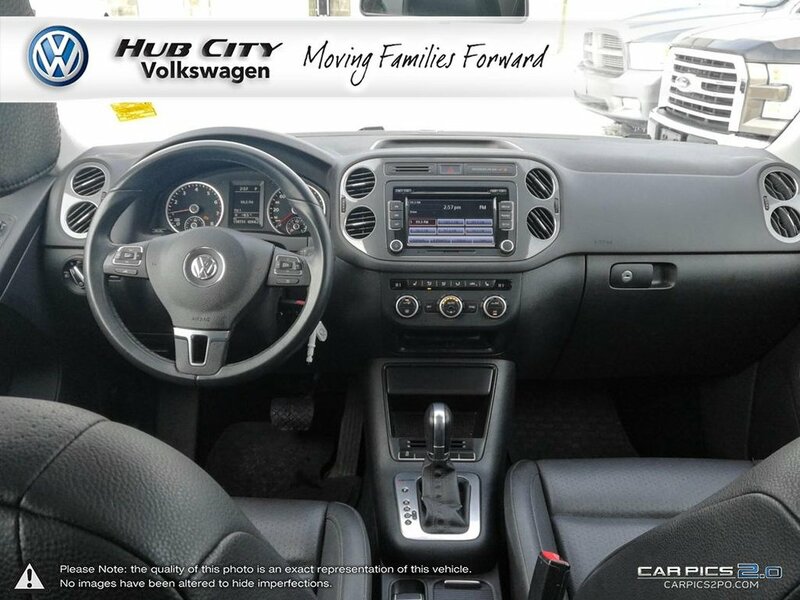 Listening to your favorite music is easy with Bluetooth w/audio streaming, iPod connectivity an 8-speaker AM/FM/CD audio system.